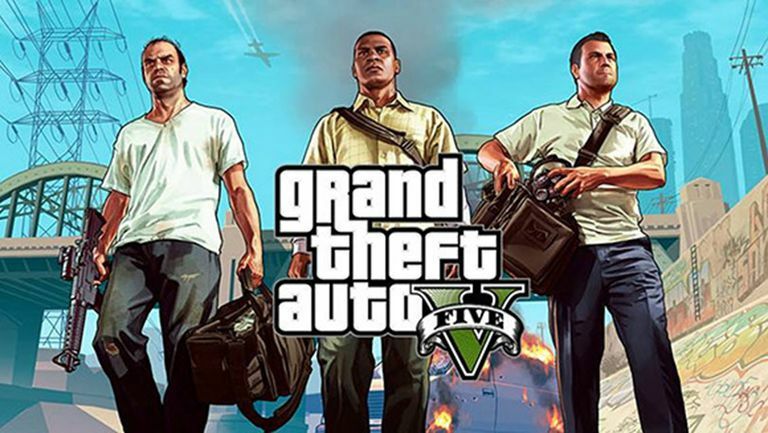 Grand Theft Auto V is the latest iteration in Rockstar's seminal series and an absolute powerhouse in the industry, earning more than $6 billion dollars since its initial release in 2013. While the title may be the most profitable media title of all time, it's not an easy game. The controls can sometimes be confusing and the single player missions can stump even the best players. If you find yourself stuck at a certain point (or you just want to have fun and blow off steam without any restrictions), try these cheat codes. Use the directional pad to enter any direction commands (left, right, up, down) and the face buttons for everything else. These cheats need to be entered quickly in sequence to take effect, but beware: they will disable trophies for your current play session. If you reset the game and reload your save, you will once more be able to earn trophies. Los Santos Legend Congratulations! You're Vinewood's biggest star! Solid Gold, Baby! Earn any 70 Gold Medals on Missions, Strangers and Freaks. Multi-Disciplined Attain a gold medal in all applicable hobbies and pasttimes. Kifflom! Complete your path to enlightenment...or not. Three Men Army Survive 3 minutes on at least a 3 star Wanted Level with all three characters together off mission. Altruist Acolyte Deliver an unsuspectim victim to the Altruist Cult. A Lot of Cheddar Spent a total of $200 million across all three characters. Wanted: Alive or Alive Deliver a bail bond target alive. Close Shave Complete all Under the Bridge and Knife Fight challenges. Off the Plane GTA Online: Complete the Introduction. Three-Bit Gangster GTA Online: Reach Rank 25. Making Moves GTA Online: Reach Rank 50. Above the Law GTA Online: Reach Rank 100. Numero Uno GTA Online: Obtain first place in all competitive game types. The Midnight Club GTA Online: Use custom vehicles to win 5 races. Unnatural Selection GTA Online: Complete all 10 waves of a Survival. Backseat Driver GTA Online: Direct a driver to 1st place as a co-driver in Rally Mode. Run Like the Wind GTA Online: Survive with a Bounty on your head. Clean Sweep GTA Online: Finish a Gang Attack without dying and kill at least 10 enemies. Decorated GTA Online: Eearn at least 30 Platinum Awards. Stick Up Kid GTA Online: Hold up all 20 Stores. Enjoy Your Stay GTA Online: Participate in everything Los Santos has to offer. Crew Cut GTA Online: Complete a Job as a member of a Crew. Full Refund GTA Online: KIll the thief that mugged you. Dialing Digits GTA Online: Call for gang backup for the first time. A Fair Day's Pay It's time for a litle getaway. Subversive You stole an experimental super weapon from Merryweather...and gave it back. The Big One! This ain't no dream no mre. Shot Caller YTou invested your hard earned cash and set up a Heist. Four Way As Heist Leader you set the Finale cut as 25% across all players. Live a Little You spent a total of $8,000,000 purchasing vehicles included as part of The Heists Update. Can't Touch this You compelted a Heist Finale without taking any damage. Mastermind You earned 25 platinum medals across Heist Setups and Finales. Be Prepared GTA Online: Complete a Heist Setup mission. In the Name of Science GTA Online: Complete The Humane Labs Raid and Series a Funding as Heist Leader or Crew. Dead Presidents GTA Online: Complete The Fleeca Job and The Pacific Standard Job as Heist Leader or Crew. Parole Day GTA Online: Complete the Prison Break as Heist Leader or Crew.